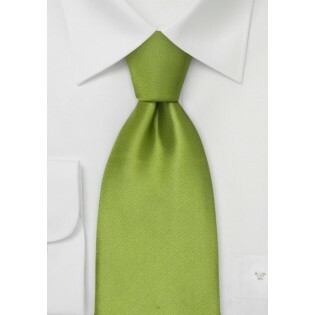 This tie is in an appealing, lush, apple green color, and gives you a healthy glow on a sunny spring or summer day. Designed by Parsley Luxury Neckwear, this tie was made from high quality silk fiber for shine, softness, and perfect drape. This green color is warm and inviting. Update your light summer suits with this tie and a white dress shirt. 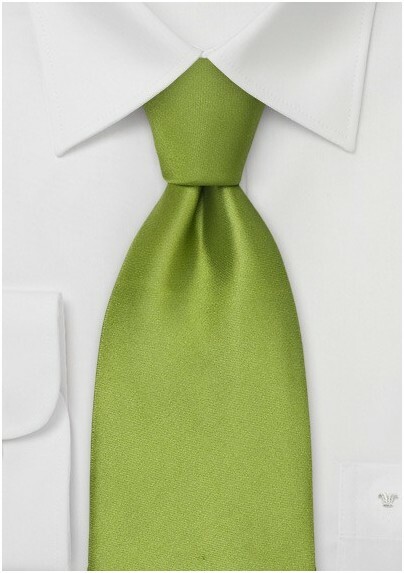 This green matches well with beige and tan suits and brings out the warmth and richness in these hues.